How to clean your make-up brushes | HELLO! The tools of a makeup artist’s trade, and an essential for all product lovers, brushes are worth their hefty price tags, holding the key to complexion perfection. With the right tools you can achieve smokey eyes in seconds, contoured cheeks in minutes and a perfectly precise pout. 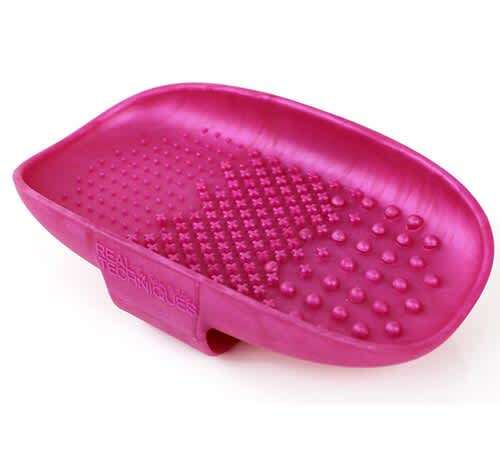 Much like your hair and scalp needs a good scrubbing though, brushes do too. Even if you aren’t investing in natural hair bristles (they’re more expensive), synthetic fibre brushes hold onto dead skin cells, residue and oil too, which builds up and leads to blemishes and a ‘muddy’ look to your makeup. 1. 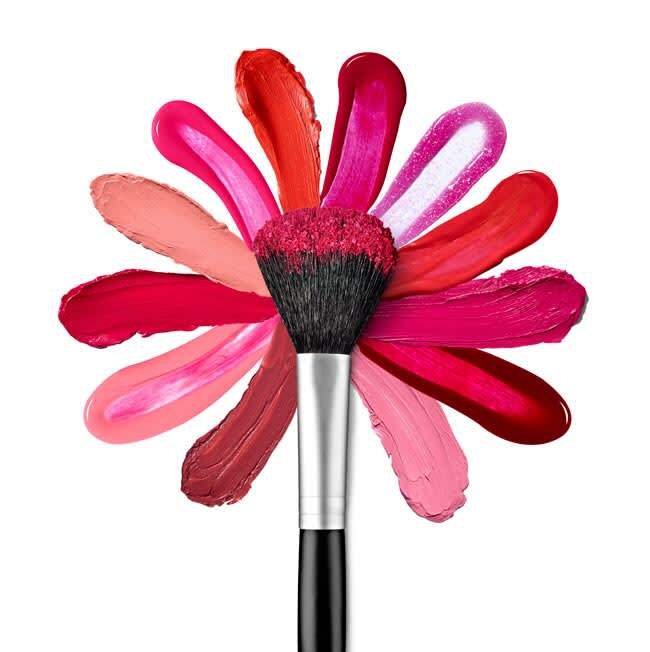 If you wear makeup everyday, you may need to wash your brushes more regularly. The bristles should be soft and fluffy, if they feel stiff then its time to toss them into the tub. 2. Make the most of your kitchen cupboard. Fill a bowl with lukewarm water and a few squirts of Fairy Liquid or a mild shampoo and swirl the brush around the water until all product is rinsed out. 3. Have a whole army of brushes to scrub? Try the brand new Real Techniques Brush Cleansing Palette, £12.99 (Available February 1st). Just fill the palette with soapy water, dampen the bristles of your brushes and rub gently over the textured lining, reshaping before they dry. 4. 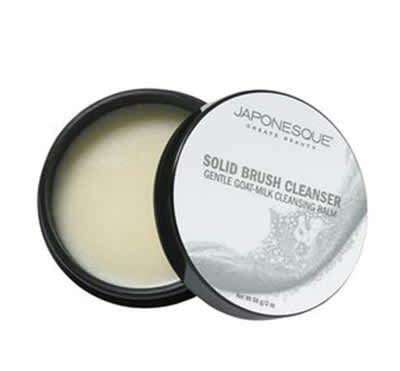 A makeup artist’s favourite, the Japonesque Solid Brush Cleanser, £16, contains goat-milk, which doesn’t dry out or strip the bristles, whilst the nifty pot is great for taking with you on travels. Run the brush head under warm water and run it over the balm - the foam that forms will lift away any leftover makeup instantly. 5. Want a speedier scrubbing? 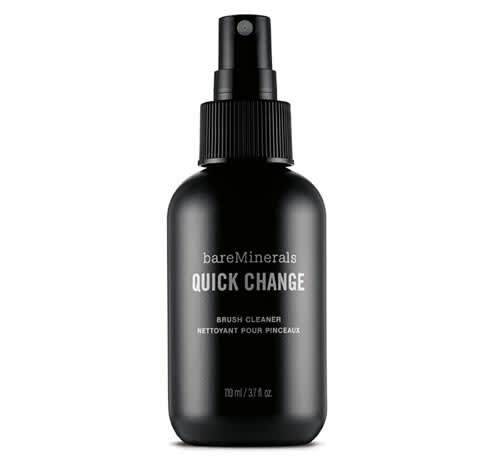 Then the BareMinerals Quick Change Brush Cleaner, £10, is great for using in-between washes. Just spritz it onto your brush or a tissue first and swirl over for wash-and-go. 6. Never washed your brushes? Then they are probably in need of a supercharged soaking. Before washing them in soap and water, add a few drops of olive oil to the bristles and work it in, it will break down any bacteria and residue much quicker. 7. After washing your brushes, always reshape them when the bristles are damp, before letting them dry on a flat surface. This stops water trickling into the handle and causing rust (and then breakages).